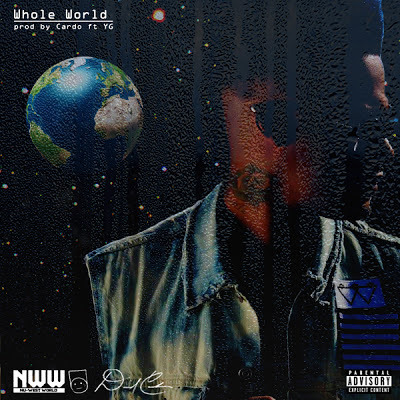 The Maguire: NEW MUSIC: David Cash – THE WHOLE WORLD – ft YG and Krazy C.A.S.H. NEW MUSIC: David Cash – THE WHOLE WORLD – ft YG and Krazy C.A.S.H. David Cash of Venice Beach, CA in LA drops this new track produced by Cardo and featuring YG. Its def got some star power on the track. Krazy C.A.S.H. handles the hook for the infectious summer record.